Wexford GAA released a statement in relation to the misleading Matty Forde article that was published in the Irish Independent lately. The article, which was written by local Wexford sports journalist Brendan Furlong received heavy criticism after the former All-Star took to Twitter to state that the article was entirely incorrect. “Wexford GAA is extremely disappointed with the inaccurate and misleading article in the Irish Independent newspaper on 31 October regarding the promotion of Gaelic football within the county. It is particularly disappointing that Matty Forde, a member of the 2017 minor football management and a legend of the game, had such negative comments incorrectly attributed to him. Matty clarified yesterday via Twitter, and directly to Wexford GAA officials, that he did not make most of the statements in the article and he has further said that the article does not reflect his opinion regarding Wexford GAA’s attitude to the promotion of Gaelic football. It is particularly disappointing that the article was penned by a local journalist who were he to follow journalistic norms of research and enquiry, should know that equal time and resources are spent by Wexford GAA on the promotion of both football and hurling at club and county level. In 2017, almost €400,000 has been spent on the preparation of our senior football team which is similar to the figure spent on the hurling team. 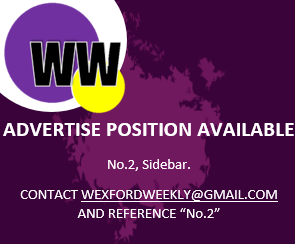 As a proud dual county, Wexford GAA has an equal funding policy for all underage teams from under 14 upwards.